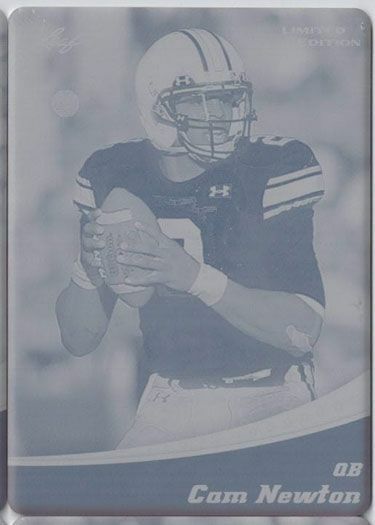 Up for sale here is a 2011 Leaf NFL Draft Rookie card of 2011 Leaf NFL Limited CAM NEWTON Rookie Press Plate RC AUBURN 1/1. GET IT NOW WHILE YOU STILL CAN! Also, be sure to check out our other items - we have TONS of rookie cards listed - base-cards, variations, autographs, limited edition, short-print autos, rare 1/1's, and also bulk close-outs! Please email with any questions before purchasing. Thanks for looking and Good Luck!